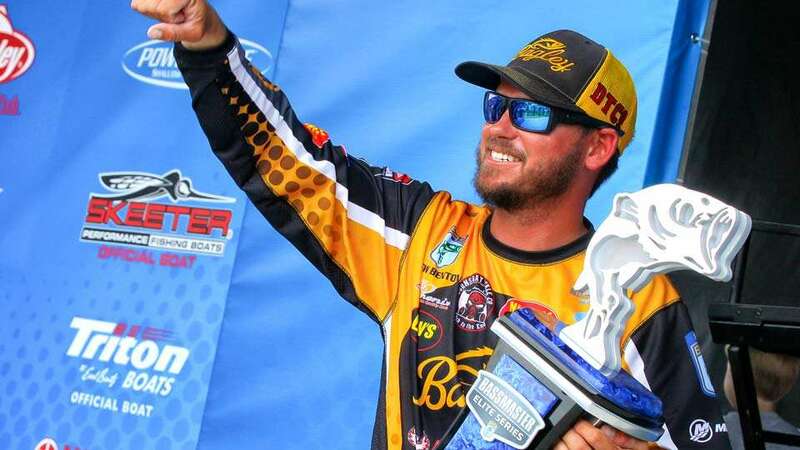 IBASSIN: Drew Benton Wins 2018 Toyota Bassmaster Texas Fest on Lake Travis! Drew Benton Wins 2018 Toyota Bassmaster Texas Fest on Lake Travis! Big time win for 1st time Elite winner Benton! Drew Benton of Panama City, Fla., capped off an impressive week with a Championship Sunday five-bass limit that weighed 16 pounds, 15 ounces to win first place and $100,000 at the 2018 Toyota Bassmaster Texas Fest benefiting Texas Parks and Wildlife Department.